The SoulCare Wellness Series is designed by Kenda Davis of iBella Holistic Coach to hold space for the mind, body, and soul of the Black woman. As women, we tend to extend our love to everyone else, without reserving any for ourselves. Self-love is the most important forms of love because it allows us to elevate our creativity and confidence while giving us the courage to release unhealthy attachments. 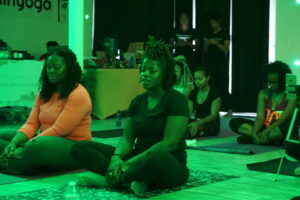 Check out my interview with Kenda and the essence of the SoulCare experience. 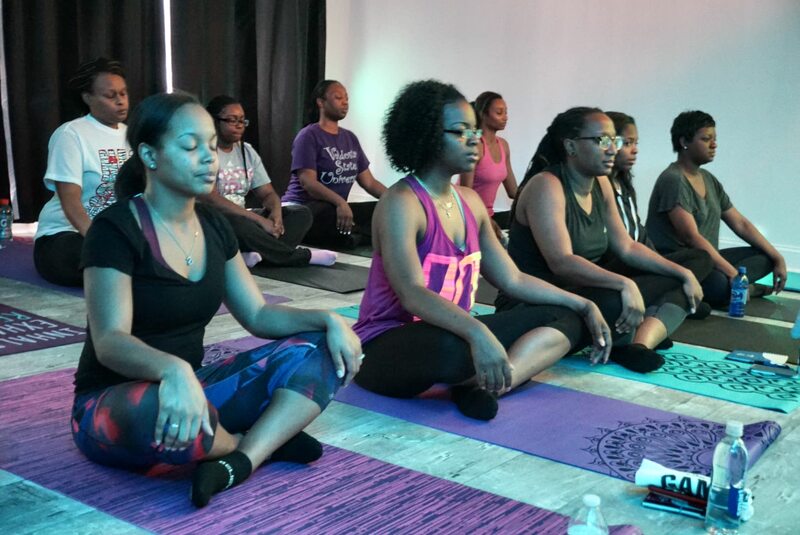 It’s a safe and sacred space for women of color to engage in self-care, self-love, and appreciation. Why is the SoulCare Wellness Series so important to our community? SoulCare Wellness is important because being in this nation where women of color are considered second-class citizens of a marginalized group, we’re barely recognized in industries for our “melaninated” essence and intelligence. It’s essential for her (women of color) to be in a space where her essence is elevated without oppression. A few major components of the SoulCare Wellness Series is yoga, meditation, and journaling, how can this benefit women through self-care and self-love? For an individual that may not understand, SoulCare Wellness is created to understand the benefits of health and wellness. When you invite movement into the body through yoga, it’s a mind and body connection. We work through poses that require balance, twisting, inversions that can change our perspective on what it means to be human beings. When it comes to mediation, mindfulness is important to become more conscious of what we think, say, and do. Meditation in a sense allows us to release thoughts and mind chatter while becoming central with our breath, ultimately giving us life and helping us to just be. Lastly, journaling is beneficial for release, getting the things that are stuck in your head, out! What inspired you to organize this event? What was the moment where you said, I have to do this? 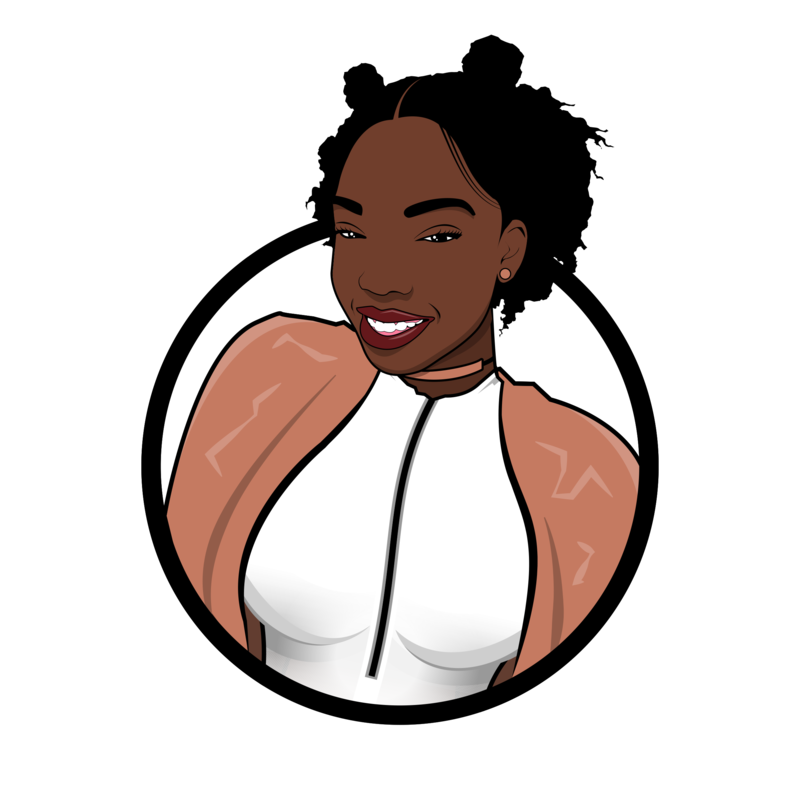 I wanted to bring what I was doing to build confidence and release energy to more people of color, women specifically, but I didn’t understand how. 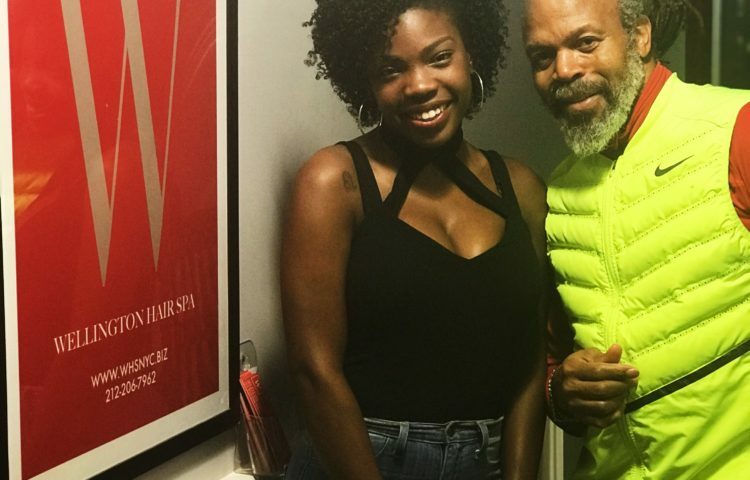 My cousin introduced me to Curly, Curvy, Conscious and the event was the following week, the ticket was over $100, and at the time I was broke as f*ck, but I had to be there! I had to see my vision manifested because to me that was an indication that it can happen. So, I end up not paying a bill and going to the experience with the help of my fiancée the day of. 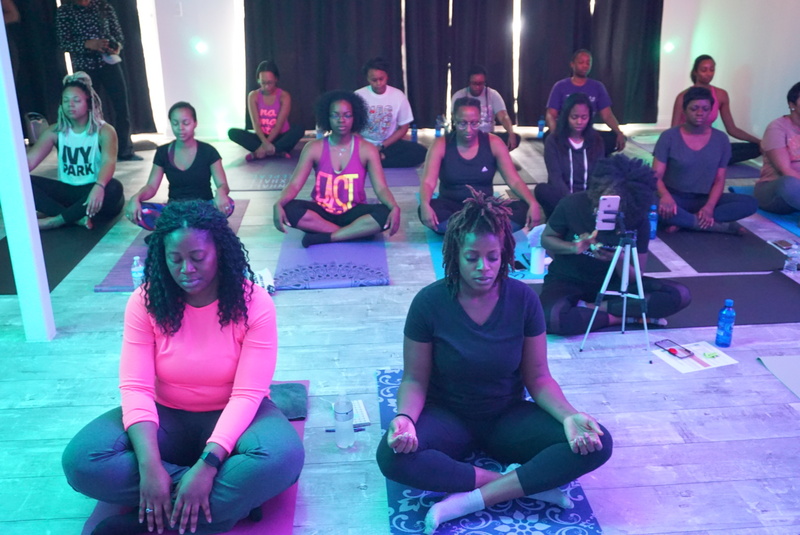 I saw what it looked like for women of color to come together in a safe space and engage in yoga, meditation, journaling, community, and positive energy. That really was my sign that this can also be manifested on a smaller scale with me guiding it. So I took the bull by the horn and immediately went into plan mode. 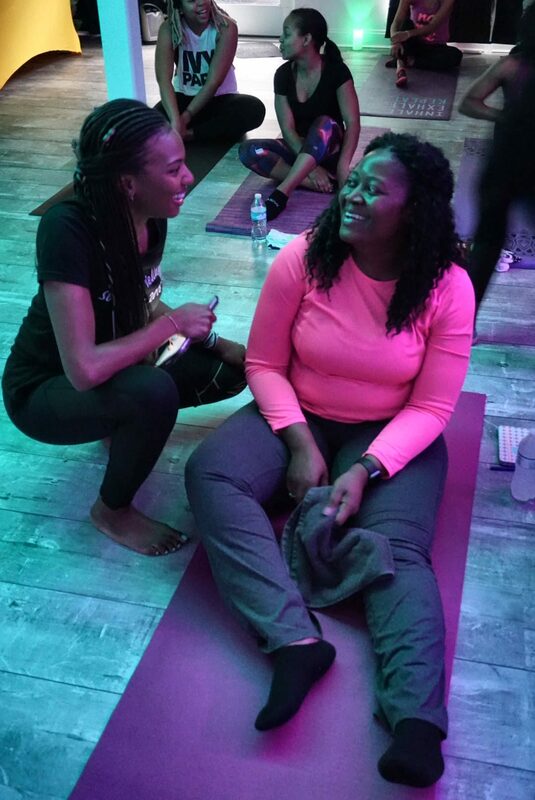 Another inspiration would be seeing other women like Lauren Ash of Black Girl In Om and JChavae of We Heal Too create community in health in wellness for us. It strengthened the manifestation of my vision. When I decided it would happen, things decided to fall into place. I began to pray to Spirit to send me people can help like you, Krissy, and the team. 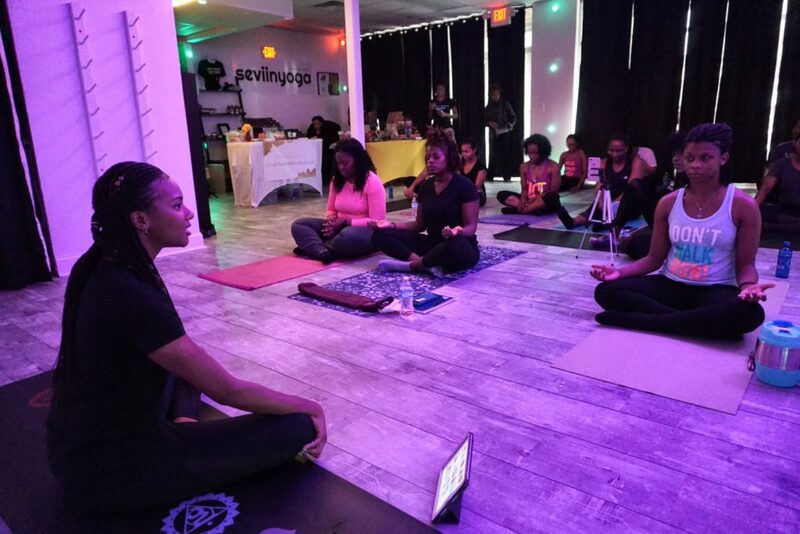 Then I saw an opportunity on Instagram with Seviin Yoga, a black-owned yoga studio, where we hosted the event. I reach out to the owners Brandon and LaNaya and they believed in my vision. How does your style of coaching differ? I noticed in other experiences there was a missing piece of zen. It was a turn-up and get lit expansion ⎯ which is okay because black people are known for expanding and being vibrant, so I love that aspect. 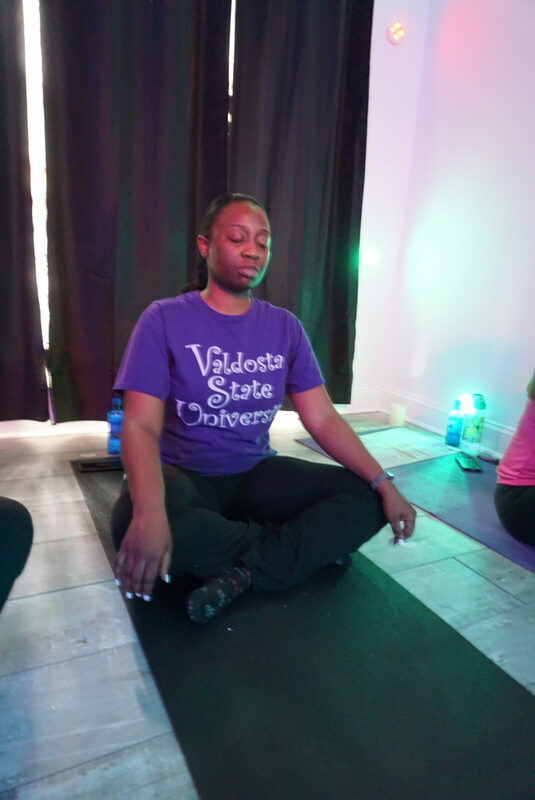 Though I do value the aspect of just calming down, releasing and getting into these serene moments of stillness and tuning into our inner being, and that’s what SoulCare Wellness provides. In your opinion, what is the biggest problem black women face? 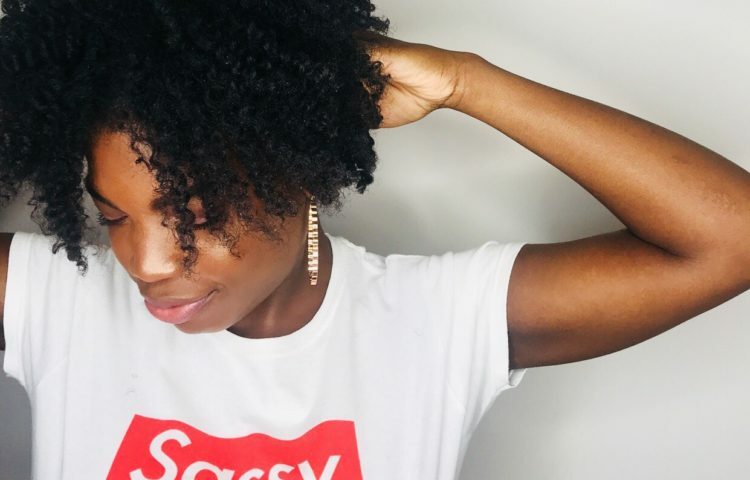 There was a study done by LeanIn.org and McKinsey & Company on how Black women aren’t in those C suite executive roles ⎯ women in general ⎯ but the number is even less for women of color. The Black women receive less guidance and support from their upper management in comparison to other women. A few months before this article came out, there were studies conducted on how the Black female is the most educated group in the nation (at the time and may still be) but it’s not represented in corporate settings. Then another study came out saying black women were the largest group of entrepreneurs. 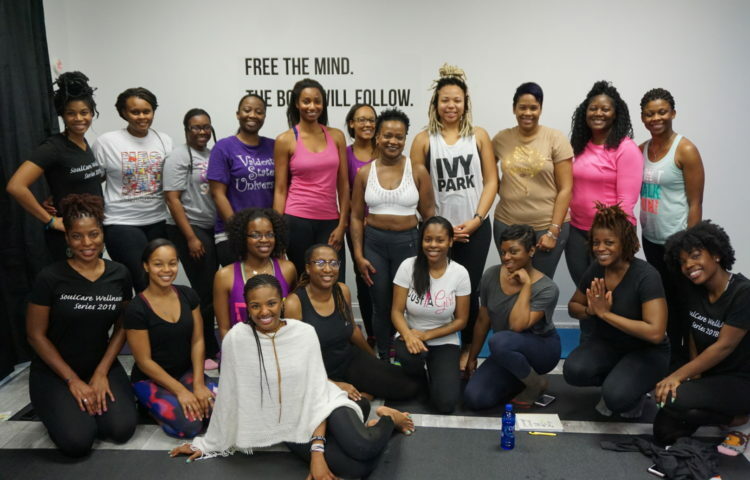 All of this spoke to me when forming the why behind SoulCare Wellness. It told me they don’t want us and that’s okay because we want each other. We will tap into our creative nature and be entrepreneurs and we will build a community behind that. I’ve battled a lot with just announcing that it’s for uplifting the black female form because I don’t want to be segregated, but we’re not, we’ve already been excluded. So why not build community? 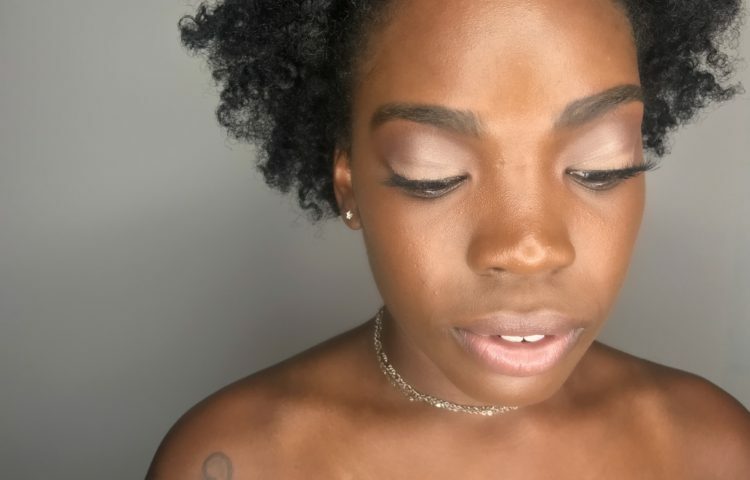 For anyone that feels marginalized or undervalued, they can come into SoulCare Wellness and be uplifted and valued in that space of community. 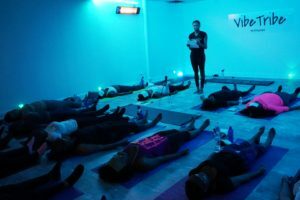 What is your goal for the event and as an overall holistic coach? My goal is to move women collectively towards flourishing and a greater well-being. When she leaves that space, I want her to feel safe and uplifted. Where would you be without wellness and self-love? I would be my 18-year old self, drowning in low self-confidence. Self-care allowed me to tune into what was important to me without comparing myself to other people and release the need to be anything other than what I am. 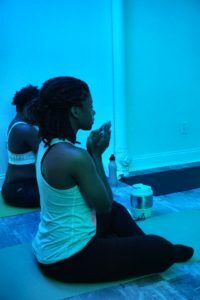 Self-care allowed me to learn about who I am as a being in this realm and to flow with my true essence. I call it my self-discovery journey. What does your self-care routine consist of? Sacred baths which include fresh flowers, essential oils, a bath bomb, a natural leaf-scented candle, and body scrub. I scrub every inch of my body releasing dead skin and parts of me that are no longer needed. I also practice yoga at least 3-4, journaling, and meditation. What’s one piece of advice that you’d like to offer women who are building an empire and building their magic? Allow it to manifest on its own ⎯ without force. Understand your purpose and strengths, then leverage it. Words can’t express how much I loved this event! 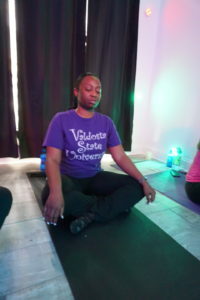 My spirit was uplifted and I was able to reflect on me. Wowww, it’s amazing to read that black women are the most educated AND taking entrepreneurial leaps more than any other faction. This is really important work you do (for everyone). Much respect. Ah i love that yoga, meditation, and journaling are all a part of this movement. Each of those things are such beautiful ways to ground and create mindfulness. Wow! This sounds awesome! Wish I had one down here in South Florida to attend! Love this!!! I have such a love for self healing and growing within community. 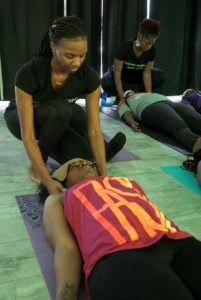 I love this entire idea–I would love to take part in a Soul Care event. I loved “they don’t want us and that’s okay because we want each other”. Word, girl. This is amazing and I’d love to support!